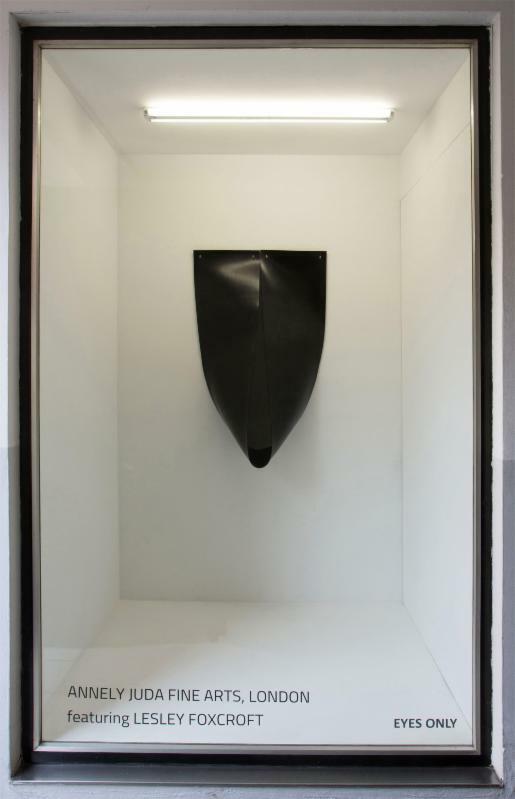 Having worked with MDF for many years, rubber is a relatively new material for Lesley. Whilst using heavy MDF she discovered thin MDF sheeting that could be manipulated into forms not normally associated with the material. This triggered the idea of pliable basic materials that could be used in the same way as fence thick industrial rubber. In keeping with all her work she uses basic fittings, everyday simple hanging methods like bulldog clips, hook + eyelets to create something new, simple, lucid and logical. Lesley Foxcroft lives and works in London. After studying at Camberwell School of Fine Art (1970-1974)she has had numerous solo and group shows throughout the UK and Europe from 1974 onwards.